Foundational controls help IT organisations focus on setting basic and effective security priorities. According to the Center for Internet Security (CIS), applying just its first five critical controls can reduce your risk of cyberattack by nearly 85%. So, when it comes to foundational controls, how does your organisation compare? 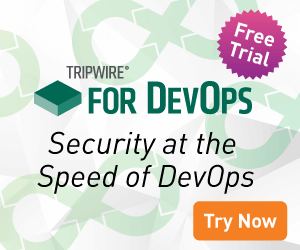 Join Tripwire and other security experts for Tripwire University 2017: EMEA Edition to learn specific steps you can take today to protect your business. Please join me as I host the line-up of speakers and topics below in short 15- to 30-minute topics covering the agenda below. I will welcome you to this year’s Tripwire University EMEA edition with real-world examples of data breaches. In this session, learn about practical actions organisations can take to effectively recover from a security incident. Discover how to determine the extent of a compromise once a breach is detected and understand the steps necessary to contain the affected systems and reduce security risk. Dr. Amoroso, Chief Executive Officer of TAG Cyber, will discuss how it makes good sense to focus on underlying foundations when you’re doing your enterprise cyber security work. He provides a useful checklist which includes: integrity monitoring, vulnerability monitoring, configuration management, log management and situational visibility. Join this fast-paced session as Tripwire’s Tim Erlin reviews the five biggest breaches of 2017, outlining the key facts, common root causes and overall impacts. Tim will then provide insight into how adhering to the CIS Critical Security Controls could help to better prepare organisations for future breaches like these and minimise the damage caused. In May, we witnessed the infamous WannaCry malware attack and how it devastated the UK NHS, forcing hospitals to postpone operations whilst dealing with the attack. It’s well documented that applying patches could have stopped the attack spreading so quickly, but in organisations with legacy systems this is no easy task. Join this session to learn how prioritising vulnerabilities can help organisations to apply the most vital patches, reducing risk and minimising damage to critical systems. File Integrity Monitoring solutions have been around for a few decades now, with one purpose in mind: to monitor changes to files on the endpoint. All too often, the term “FIM” has become synonymous with “noise” due to the volume of change data it indiscriminately produces. However, there is more to integrity monitoring than just looking at files. In this session, learn what true FIM is, and why it’s more critical than ever for security and compliance. Brace Yourselves, The EU GDPR Is Coming: Are You Ready? With the new European Union General Data Protection Regulation (EU GDPR) on the horizon, the time is ticking for organisations to evaluate their security gaps and address any issues that may impact their compliance. In this session, I will discuss the roadmap you should be on, security challenges you are likely to face, and considerations that can help your technology decisions. Cybersecurity is a chaotic and complex field. From new threats to evolving compliance requirements, cyber defenders must navigate countless options to get the job done. For its complexity, however, many of the essentials have remained remarkably consistent. Yet organisations struggle to effectively implement these essentials, and are often distracted or unable to overcome internal hurdles. In this session learn about best-practices in implementing foundational controls effectively and learn how security at scale can help to reduce cyber risk in a complex environment. Methods such as Agile and DevOps, cloud adoption, containers and infrastructure as code tools have completely revolutionized application development and deployment. But these new methods and technologies leave security pros at a loss on how to protect these applications. Join Amy DeMartine, Principal Analyst at Forrester Research, to learn how these new methods and technologies changes the way you perform application security. Foundational controls are just as important in the cloud as they are on-premises – they’re basic security hygiene that provides the biggest return on investment in terms of risk reduction. However, there are some challenges you may run into when deploying these controls into the cloud. In this session, learn about key capabilities for foundational controls in hybrid computing environments. If you want to hear all of these fantastic speaking sessions, then you must sign-up for our webcast on November 30!